Two time National Basketball League champions Pemba Warriors returned to winning ways on Sunday afternoon with a 84-59 victory over Sharing youth in the NBL. Warriors had gone four games in a row, without a single victory – The side had lost to Power, KCCA, Oilers and KIU. The victory is the 10th for Ronnie Mutebi’s charges from 18 league attempts this season. In a dominant victory that saw Warriors shoot 29-56 from the field, they won all four quarters 11-19, 13-22, 18-24 and 17-19. Syrus Kiviiri led the Kyambogo based side with 18 points. Amisi Saidi had a double double of 16 points and 10 rebounds, Gaus Muhamba added 10 points. Caesar Kizito who was playing against his former masters, shot 5-16 on the field to reach 12 points. Stephen Otoa contributed 10 points, in a losing effort. The loss, was Raymond Muhumuza’s Nsambya based team 12th for the season. Next for Warriors are games against Our Saviour, Rhino, Ndejje and JKL Dolphins. In the first game of the day, City Oilers whipped Charging Rhino 64-96. James Okello scored 22 points and 17 rebounds, Landry Ndikumana and Jimmy Enabu added 18 points each. Jjuuko Daniel and Ivan Muhwezi scored 10 each for Charging Rhinos. 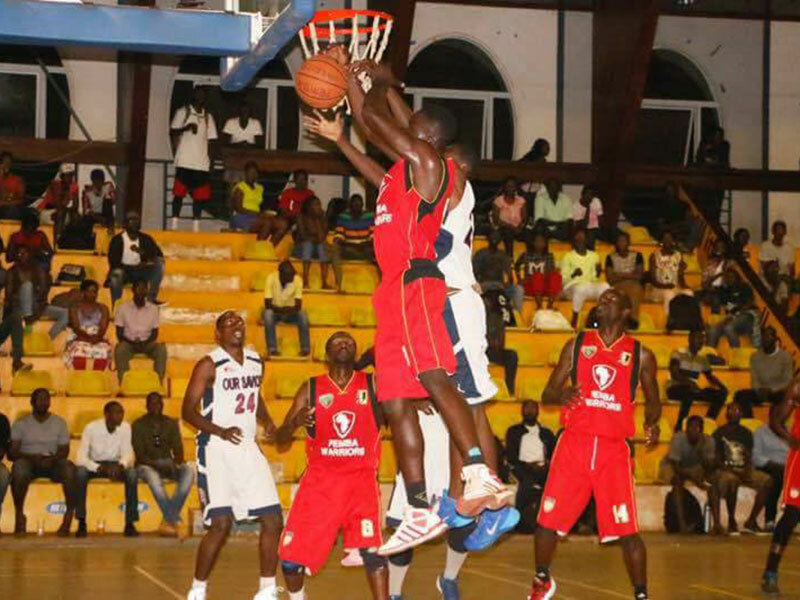 The other game played on Saturday saw Our Saviour loose 56-76 to Ndejje University Angels.